A leisurely expedition voyage along the west coast of South America in a boutique-size ship is the perfect way to explore some of that continent’s greatest sites and attractions. A new cruise offering from Cruise Traveller, lasting over five weeks and including round-trip airfares from Australia, heads north along the full length of the South American continent, from Ushuaia in Argentina’s deep south to tropical Cartagena on Colombia’s Caribbean coast. Called ‘Grand South America Discovery’, this is the adventure of a lifetime – complete with a three-day trip to Machu Picchu and the Sacred Valley of the Incas. 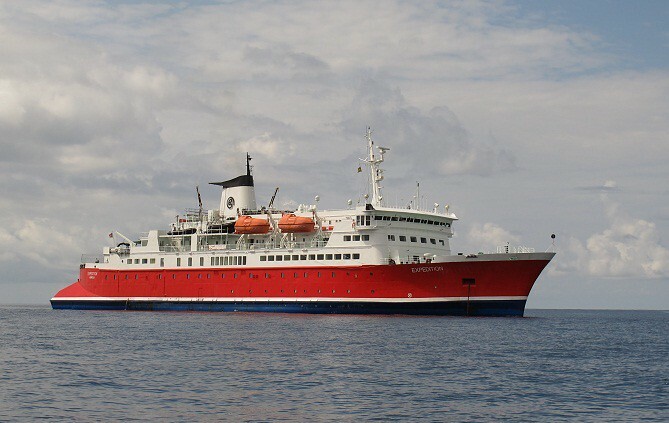 Throughout this 39-night, fly-cruise-tour-and-and stay holiday, you’ll travel in comfort aboard G Expedition, a fast, safe, spacious ship, completely refurbished in 2009. G Expedition delivers an intimate small-ship cruising experience with all meals aboard included and large common areas and observation decks providing panoramic views. Visit Isla de la Plata, off Ecuador’s coast, with wildlife to match the Galapagos, but without the crowds and high prices. Explore fjords by Zodiac, see calving glaciers, visit Machu Picchu and the Sacred Valley before heading north to the wilds of the Darien Jungle, once considered impenetrable. Relax on white sand beaches, transit the Panama Canal and wander through little townships, wineries and local markets. Constructed to sturdy Ice Class 1B standards for service in sea ice, G Expedition carries no more than 134 passengers. Its compact size (105 metres long by 18 metres wide) – suits South American cruising perfectly. If you’re used to bigger ships, note that there are no ‘inside cabins’ on this cruise. Cabins consist of twin-size berths and face the ocean through a window or porthole, depending on deck. Suites have one queen-size bed. Cruise Traveller’s ‘Grand South America Discovery’ departs Australia on 20 March 2016 with a flight to Buenos Aires. It costs from A$25,399, per person twin share, if booked by 18 September 2015 – which represents a saving of 20 percent (or A$5600) over the regular price. The expedition voyage includes a night in a hotel in gracious Buenos Aires, birthplace of the tango. There’s another night ashore in Cartagena, a Caribbean gem on South American shores. Here in 1741, Spanish Admiral Don Blas de Lezo, with only one eye, one leg and one hand, successfully defended the city against British attack. Another night is spent in Ushuaia, a city so far south it’s nicknamed Fin del Mundo (the End of the World). You’ll stay two nights in a hotel in Peru’s El Valle Sagrado (the Sacred Valley of the Incas) and another night in the Inca capital of Cusco. Flights from Lima to Cusco and Cusco to Trujillo are included. In Peru, a city tour of Cusco, the ancient Inca capital. Tour of Ollantaytambo, an Inca archaeological site in southern Peru. Choice of four excursions in Colombia’s beautiful Bahia Solano. G Expedition offers several large public areas to enjoy during sea crossings and between land excursions. All cabins are equipped with private ensuite facilities. Fine dining aboard includes international cuisine served in one sitting – and the large aft deck is equipped with barbecue facilities. Toast the cruise in the Polar Bear Pub, enjoy a sauna or keep in touch via the internet in the computer room. Disembarking in Cartagena, you will have seen and experienced a great deal of South America. Reflect on it all over an aromatic Colombian coffee before jetting back to Australia.